After fifty years as a high-profile beacon at Yonge and St. Clair, one of the country's most historic radio stations is moving downtown to be closer to other media outlets owned by its new proprietor, Bell Media. Newstalk 1010, also known by its call letters CFRB, will vacate its studios at Yonge and St. Clair next March and move to a Queen Street West building best known as the home of Much Music. The building now houses several Bell-owned specialty channels and serves as a hub for Bell’s media holdings. CFRB was founded in 1927 by Ted Rogers Sr. to showcase his invention that allowed radio to be broadcast with household electricity instead of relying on battery power. Its call letters are a tribute to the invention: Canada’s First Rogers Batteryless. 99.9 Virgin Radio will also be moved to the Queen Street building, where Bell has been consolidating its media holdings (most recently selling the downtown Masonic Temple that housed MTV Canada). In a memo to Minister of Labour Lisa Raitt that is required by law when layoffs are planned, the company said it intended to eliminate about 100 jobs in Toronto and another 80 in Montreal. "In any society where the police, military or government hold inordinate power over the people, there are restrictions on the right to take and publish photographs, especially when those pictures prove embarrassing or incriminating to those in charge. "One sure measure of a society’s freedom is how its leaders react to such images. If the photographers go unpunished, that society is probably a relatively free one. "If they go to jail, it definitely isn’t. The situation in Canada has reached the point where it needs to be said loudly and clearly: there is no law against public photography in Canada; no one here can ever be arrested for the simple act of making a picture or film, unless other laws are being broken in the process; and police officers who are in uniform and executing their duties in public have no reasonable expectation of privacy. . . "
A senior editor at an international media organization will seek the Liberal nomination for the Toronto Centre riding vacated by Bob Rae. 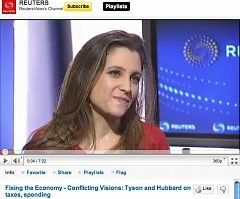 Ms Freeland is the second media personality to be seeking a nomination in the riding. Former Much Music VJ, Jennifer Hollett, is pondering seeking the NDP nomination. Edgy guy has gone over the edge at 102.1 the Edge. He got a pass at the CBSC but Corus decided that it didn't want to deal with this stuff any more. It's a free country. You can say anything you like. You just can't guarantee you'll get paid for it. Shapiro gone. Further to the post below asking whether the royal baby coverage was over-the-top, comes the high-minded Guardian with an entertaining story on commercial firms "trendjacking" ad campaigns. (Let's home that term doesn't catch on). The Guardian says Google, (grocery giant) Tesco, Air New Zealand and the Sun (newspaper) were among almost 20 brands to trade on the birth of the Duke and Duchess of Cambridge's baby boy. Well and good. This story, as informative as it is, nonetheless reveals again the private space in which the media lives when it comes to others "cashing in". Every single news outlet in the world that used the story was selling it for money. You mean we have gotten our hands dirty? Oh dear. Royal baby: Was global coverage over the top? The media may have gone overboard in covering the royal birth -- or not. But it is always reassuring when it takes a breath and checks its own pulse, as done here by the BBC. It's a checkup that can't be over-rated in this the first half century of all news, all angles, all filler and if necessary all-anything in repeat cycles. Maybe you catch the drift. As if you didn't know, there are a million angles to the Big Royal Baby Story. The BBC has a few of the better ones from around the world. The CBC has rejected an advertisement criticizing the influence of the Conservative government’s budget bill over the public broadcaster. Friends of Canadian Broadcasting, a non-profit group that says Prime Minister Stephen Harper’s government is encroaching on the CBC’s independence, produced an ad in which a journalist is seen questioning a prime minister who bears a resemblance to Mr. Harper. After suggesting the government “has taken control of the CBC,” the ad’s journalist is tossed in the back of a trunk and carted away. 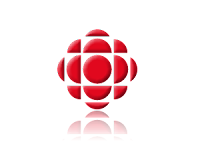 The ad is an attack on Bill C-60, an omnibus budget bill – since passed into law – that gives the federal government new powers over the CBC, including a seat at contract negotiations. That power could undermine the CBC’s journalism, Friends of Canadian Broadcasting says. “Who is going to ask the tough questions now? 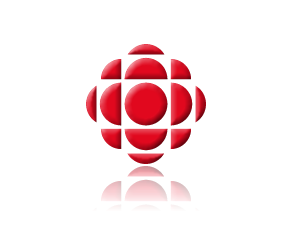 Join the campaign to free the CBC from political inference,” the ad concludes in the English-language version, which was approved as an opinion ad by the Television Bureau of Canada. But the CBC rejected it, saying it was a matter of neutrality. Toronto is experiencing something of an old-fashioned newspaper war these days, albeit somewhat one-sided. The Falun Gong-owned Epoch Times newspaper is currently running a five-column banner headline declaring "Communism bundled with Toronto Star". It's catchy for sure. You have to understand there is nothing that the Epoch Times likes less than communism. The PRC government reciprocates the feeling toward Falun Gong, a super-busy religious organization which the Chinese accuse of everything from treason to cultism. Falun Gong say the PRC has murdered thousands of its members but the Chinese ask where are the bodies. Back to Toronto. The Times story says the Star has accepted for distribution with the paper a copy of the China Daily, an English-language publication owned by the Chinese Communist Party. The Times quotes Star Communications Director Bob Hepburn as saying that its contract with the China Daily specifies the distribution of about 10,000 copies of the Chinese government publication each week. So the Times attack seems set to roll on. Even in the heyday of the Toronto newspaper wars, The Tely never dared say the Star came bundled with communism even though that's what it thought. "The scattered American anger directed at Rolling Stone magazine for its cover photo of alleged terrorist bomber Dzhokhar Tsarnaev is absurd. "It’s an attack on good journalism, no change there, but I suspect much of it arises from a misunderstanding. "The Tsarnaev capture photo leaked by the out-of-control Boston cop is the romanticized Hollywood screenshot. "The Rolling Stone cover shot is the real thing. There were a handful of Tsarnaev photos, all previously published, and Rolling Stone picked one, a selfie, meaning he took it himself in that narcissistic teenage tic expressly designed to irritate grown-ups. . .
Gina Mallet, whose approach to restaurant criticism earned her the praise of many readers — and the scorn of others — died Thursday at age 75. 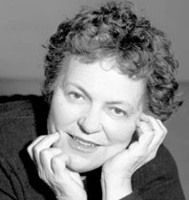 Mallet, a former restaurant critic for the National Post, and long-time theatre critic for The Toronto Star, had been diagnosed with bile duct cancer and had recently been moved to the Kensington Hospice in Toronto. Even last year, as she struggled with her illness, she still had the will — and wit — to criticize the food at St. Michael’s hospital in Toronto, where she spent some time last fall. Prime Minister Stephen Harper’s government is once again on the defensive over the Senate scandal, days after it hoped to change channels with a cabinet shuffle. On Wednesday, a Harper spokeswoman denied the Prime Minister’s Office was withholding a key email from the RCMP that outlines a deal struck between Sen. Mike Duffy and Harper’s former right-hand man, Nigel Wright, to help the senator repay his improper housing expense claims. Harper’s office said that investigators hadn’t asked for the email as part of their criminal probe of the deal. One former RCMP investigator suggested the force would want copies of any records the PMO has and could easily get a court order to compel Harper’s office to hand over any documents. Sun Media Corp. says it’s cutting 360 positions and closing 11 publications across the country, including its 24 Hours free daily newspapers in Ottawa, Calgary and Edmonton. The Montreal-based company says the plan is expected to yield annual savings of approximately $55 million. Among the axed publications are the commuter-focused free papers known as 24 Hours in Ottawa, Calgary and Edmonton. Versions of that paper in Vancouver, Montreal and Toronto will continue to exist. L’Action Régionale in Montérégie (Québec). The Lindsay Daily Post (Ontario). The Midland Free Press (Ontario). The Meadow Lake Progress(Saskatchewan). The Lac du Bonnet Leader (Manitoba). The Beausejour Review (Manitoba). Le Magazine Saint-Lambert (Québec). Le Progrès de Bellechasse (Québec). The plan is expected to save $55 million. Sun Media laid off 500 employees and shuttered two publishing facilities as recently as November 2012. James Wallace, a former Toronto Sun reporter and columnist who was appointed editor in 2008, told staff he would be stepping down on Monday. Executives at Sun Media, who own the Toronto tabloid, didn’t respond to requests for comment but confirmed his departure. Sun Media is going through drastic changes as it tries to deal with shifts in advertising spending that has seen print revenue decline across the industry. It has laid off more than 1,000 employees from its newspapers since the recession, and recently closed unprofitable weekly papers in Lindsay and Midland, Ont. The chain has also consolidated many newsroom roles, replacing editors and publishers with regional handlers who handle several papers at once instead of focusing on a single publication. The Sun – which has a weekday paid circulation of 166,300 – recently underwent a round of voluntary buyouts, which saw several long-time employees part way with the chain. Who breaks news first: Media or Twitter? Twitter may be great for following Game 7 of the Stanley Cup playoffs play-by-play, but new research quashes the idea that news breaks faster on Twitter than on traditional sources such as newswires.According to a new study, “traditional newswire sources” still often break big news first.Researchers from the University of Edinburgh and the University of Glasgow created a computer algorithm to study 77 days worth of news from 2011 — 51 million tweets and 47,000 articles from outlets such as BBC, CNN, New York Times and Wired. The news they studied ranged from natural disasters and accidents to celebrity news and scientific discoveries. A number of new television stations are opening around the world with programming specifically designed for dogs to watch. Does this make sense, asks dog expert Stanley Coren. Many people report that their dogs completely ignore what is visible on television, while others report that their dogs are often captivated by events on the TV screen. Whether or not a dog pays attention to a programme on television depends upon a number of factors. One important factor has to do with the way the dog's eye works. The grainy film captures the soldier as he shoots from his vantage point on top of the yellow stone building. He fires more than once and then, suddenly, turns the rifle and points toward the camera lens. The film ends – and so too ended the life of Ahmed Samir Assem. The 26-year-old photographer for Egypt’s Al-Horia Wa Al-Adala newspaper was among a least 51 people killed when security forces opened fire on a large crowd that had camped outside the Egyptian army’s Republican Guard officers’ club in Cairo, where Mohammed Morsi, the deposed president, was believed to be in detention. Mr. Assem had been on the scene as the pro-Muslim Brotherhood protesters knelt for prayer shortly before dawn on Monday morning. Microsoft has decided to close its largely forgotten internet television service MSN TV on 30 September. Microsoft bought Web TV at the height of the dotcom bubble and tried to use it as a way to deliver television and internet connectivity to users through an expensive set top box. The firm announced that it will finally discontinue the subscription service, noting that there are many other ways of accessing the internet rather than through a set top box. Back in the late 1990s, Microsoft harboured ambitions of getting into television, perhaps most notably through its partnership with NBC to set up MSNBC. However the firm's dreams never really materialised into anything truly profitable and it is clear that MSN TV's set top box doesn't fit in well with Microsoft's next bid to become a big player in entertainment, the Xbox One. "The Globe, which was represented by lawyer Stephen Shamie, said in a statement that it took the action on principle, and that the repayment of the settlement funds would be donated to the Centre for Addiction and Mental Health in Toronto. "In an e-mail, Ms. Wong said she was 'extremely disappointed' with the ruling, called the arbitration process 'unfair,' and said the union 'refused to present all defences' against The Globe’s claim. She said her lawyers were reviewing the decision to advise her of the 'available courses of action.'" Link to "Out of the Blue"
The 35-year-old stepson of famed Calgary sportscaster Bill Powers has been charged with second-degree murder in connection with the deaths of Powers and his wife, Donna Lee. Officers discovered their bodies early Thursday in the couple’s Braeside bungalow. Police haven’t released the identities of the dead, but family and friends confirm they are Bill and Donna Lee Powers. Police announced Friday morning they’d charged Derek Puffer with two counts of second-degree murder in connection with the deaths. Journalist Jan Wong breached a confidentiality agreement with The Globe and Mail and must pay back an undisclosed severance payment, an arbitrator has ruled. The decision by arbitrator Louisa Davie comes after Wong’s former employer objected to a book she wrote about her battle with depression, as well as some of her Tweets and media interviews. Davie ruled this week that Wong’s 2012 book Out Of The Blue breached a Memorandum of Agreement signed by herself, the Globe and her former union, the Communications Energy and Paperworkers Union of Canada, Local 87-M. 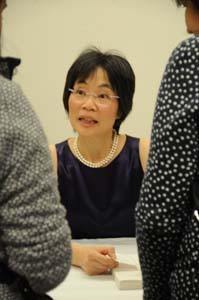 The agreement was signed in September 2008 after Wong grieved that she was terminated without cause after missing six months of work because of depression. The agreement contained a provision that Wong could not disclose terms of the settlement to anyone other than her legal or financial advisors, insurance company and immediate family. The newspaper objected after Wong’s book dealt in part with her departure from the newspaper. “While it has been a great honour to have served in cabinet, political service does not begin or end in that revered body,” Peter Kent, the Conservative MP for Thornhill, wrote in a post on his Facebook page Friday. With a cabinet shuffle expected next week, this may signal that he is about to be relieved of his post as environment minister. The Star reports that the Conservative party was going to cover the living expenses Sen. Mike Duffy had to pay back, but halted the plan when it was discovered he owed nearly three times as much as originally thought. That was what lawyers for Nigel Wright, former chief of staff to Prime Minister Stephen Harper, told the RCMP last month when they met police to discuss the investigation into his $90,172 gift to the troubled senator from Prince Edward Island, according to documents released by the Ottawa courthouse Thursday. They also told the Mounties that Wright was not the only person in the Prime Minister’s Office who was aware of the generous arrangement, but noted Harper was not in the loop. The Quebecor corporate restructuring is having a ripple effect even in the smallest communities where it publishes newspapers. Much like the PostMedia chain, Quebecor has been getting rid of real estate. The latest to announce the sale of its building is The Standard in Elliot Lake. “This is all part of right-sizing the business that all newspapers are doing to insure that they survive the new realities of people getting their news and information from the Internet,” says Karsten Johansen, the weekly's general manager. “This is a move to insure our long-term viability.” While The Standard still has many people who subscribe to home delivery, many also turn to the newspaper’s website at www.elliotlakestandard.ca, he said. “In many cases, we have a larger audience going to our website than our printed product.” The weekly has been covering the ongoing public inquiry into last year's mall collapse on a running basis on the Internet. Last fall, The Standard’s printing was moved to The Sault Star, another Quebecor newspaper, and much of the space used to accommodate eight presses as well as huge rolls of newsprint resulted in more than half of the building being empty. Johansen said the newspaper is interested in leasing back part of the building. The population of Elliot Lake is 11,000. Canada’s major wireless carriers want to overturn what they call retroactive provisions in the federal telecom regulators’ new wireless code of conduct, a move critics say could push back implementation of long-awaited consumer safeguards. In a notice of motion this week, cell phone service providers including Rogers Communications, Bell Mobility, Telus Communications and Saskatchewan Telecommunications asked the Federal Court of Appeal to allow their appeal of the Canadian Radio-television and Telecommunications Commission’s code as it relates to wireless contracts. They say the CRTC “exceeded its jurisdiction and erred in law” in applying terms of the code to contracts signed before the rules start coming into force on Dec 2. The public moved a small step closer Tuesday to learning whether last month’s massive guns-and-gangs crackdown in Toronto’s west end had any connection to Mayor Rob Ford, the NatPosts's Megan O'Toole reports. An Ontario judge gave the Crown two months to provide media lawyers with a vetted copy of sealed search warrant materials related to Project Traveller, rejecting the prosecution’s request to adjourn the matter for six to nine months. “The Crown’s position is not compatible with the presumption that judicial proceedings are open and public,” Justice Philip Downes said. Although his ruling stipulates that media lawyers must be given a copy of the warrant materials by Aug. 27, it may still be months more before the public gets a glimpse. After reviewing the information, media lawyers, who were initially hoping to obtain the documents later this month, must separately make arguments for a public unsealing. A group of Canadian news organizations is asking a judge to unseal police search warrants that they believe could shed light on whether Toronto Mayor Rob Ford has a connection to alleged members of a criminal organization. Police in Toronto and Windsor arrested 43 people in mid-June in what investigators dubbed "Project Traveller." They allege the suspects were part of the "Dixon City Bloods" gang, which police claim was trafficking in cocaine, crystal meth and illegal guns smuggled into Canada from the U.S. The raids came weeks after reports emerged that Ford had been allegedly caught on video smoking a crack pipe. The mayor has denied the allegations and said the video does not exist. "First of all we have an absolute right to this material, subject to the Crown raising good reasons why not," said Peter Jacobsen, a lawyer hired by CBC News, the Globe and Mail, Sun Media and a number of other news outlets. "But more importantly this is all connected with the Ford video — or the alleged Ford video — and it also relates directly to the kind of governance we are getting in the city." Former BBC director general Mark Thompson will face further scrutiny over his eight-year tenure at the BBC after a damning report by the public spending watchdog into the corporation's six-figure payoffs to former members of its top management. Tory MP Rob Wilson said Thompson had questions to answer after the National Audit Office investigation revealed that a string of senior executives were paid hundreds of thousands of pounds more in severance payments than they were contractually entitled to. They included one senior manager who received a payoff of nearly £900,000, despite being given 14 months' notice and finding another job before leaving the BBC. The NAO said Thompson approved the payoff – including £300,000 for salary in lieu of notice, £300,000 for redundancy and a further £266,288 in pension top-ups – even though it went against the BBC's own policy. Members of the House of Commons public accounts committee have already called on Thompson, who left the BBC last year and is now chief executive of the New York Times Company, to return to parliament to give evidence on the BBC's £100m Digital Media Initiative fiasco.